We all know that cell phones take photographs that are just as good, if not better than DSLRs or other larger cameras. And this new video ad from Apple proves it. Yesterday, Apple released a video that shows just how great the camera on the iPhone X really is. Entitled “Studio in your pocket,” it depicts a woman taking a selfie with her iPhone X suddenly being surrounded by far too much studio style lighting equipment in a place with seemingly fantastic window light. Obviously, with that much additional lighting, it’s pretty much impossible not to take an incredible photo, and so the video hints that iPhone X’s front-facing camera is able to put out a studio-quality image. 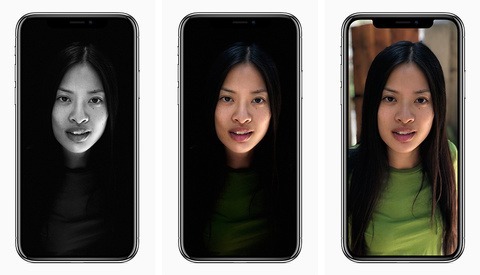 The “Portrait Lighting” feature on Apple’s new flagship phones, iPhone 8 and iPhone X, uses dual rear cameras to create an imitation bokeh effect and mimic different types of lighting scenarios: natural light, studio light, contour light, stage light, and stage light mono. 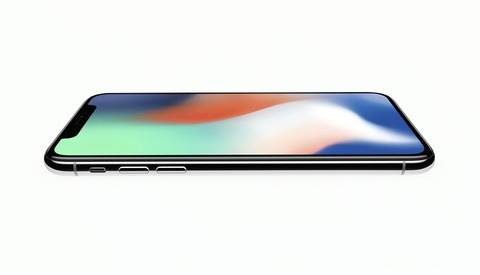 The lighting effects also work in selfie-mode using the front-facing camera on the iPhone X. So, here’s another bit of proof that ditching our heavy cameras in favor of cell phone photography is just around the corner. Hold on tight, and don’t let the magically appearing parabolic umbrellas startle you on your way out. Interesting ad considering the studio light feature struggles mightily to create a believable effect for people with long hair. Notice the model has her hair tightly pulled into a bun. Smart move by Apple, but don't toss your DSLR in the trash just yet. Sorry, I tried to make the sarcasm obvious but guess I didn't do a good enough job. At least one of you is being sarcastic, possibly both? Wow! I guess FStoppers does need to hire some new writers. The informational portion of this site is wonderful, but articles like this kind of diminish it's credibility. That first line is a suspension of reality at the very least, the iPhone X is a fascinating piece of technology but, hopefully, we don't all know that it takes as good or better images than our DSLR's. Anyone ever import the highest res version of an iPhone capture in order to attempt this most basic retouching? Ridiculous. Hopefully our craft has not devolved to the point that this article approaches fact in any image-maker's mind. I think you and Kevin Daniels are missing the heavy dose of sarcasm in the article. He's just making fun of the marketing hyperbole. Not at all. 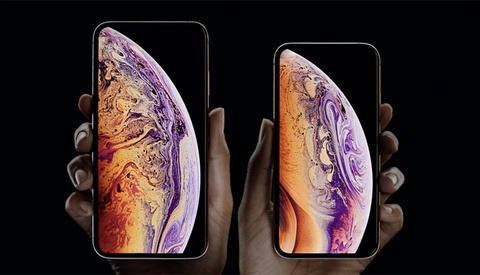 Why would Apple make fun of their own video? I never downvote comments but I'm seriously considering it for this article. Sarcasm anyone? Ya'all need to get up from the keyboard for a few minutes. Breathe. Relax. Laugh. Stop commenting. Seriously. On a note that may actually be relevant to a real discussion on this feature... it's a cool idea, and while we all know it won't replace a proper studio setup, I'm sure it could be used in good fun by people who mostly use their phones for selfies anyway. HOWEVER... what's most interesting to me is that while they attempt to solve the issue of lighting in any situation... there's still the issue of distortion because you're only holding your camera an arms length away. And since compression is the result of distance, not focal length, it would take some seriously advanced software to account for that. So I don't think photographers have that much to worry about when it comes to proper portraits. Yet, of course. Having read your comment, I agree there's a possibility it was sarcasm, in which case I regret my comment, but in my defense, there're so many ridiculous articles like this, it would be nice if an author gave some indication of it. I'm not convinced it WAS in fact sarcasm but in either case, you're right about getting away from the keyboard for a few minutes. Thanks. I have it on pretty good authority it was 100% sarcasm. I was pretty sure that pretty much every line of the article gave indication of it. Oh well. Lol at some of these comments, people need to tune up their sense of sarcasm over here. Yeesh.